Check out the company's first ever commercial teaser for its 2018 Super Bowl ad in a clear attempt to defend it's market leading position from Google and Apple's own AI assistants. Alexa is seemingly everywhere these days, including new Echo speakers, cars, and thermostats. What would happen if Amazon's ubiquitously popular assistant suddenly goes silent? This is the basic premise of the commercial teaser that recently launched for Amazon. And with Alexa not talking, guess who's stepping in? None other than the company's CEO and world's most ironic penny pincher, Jeff Bezos. 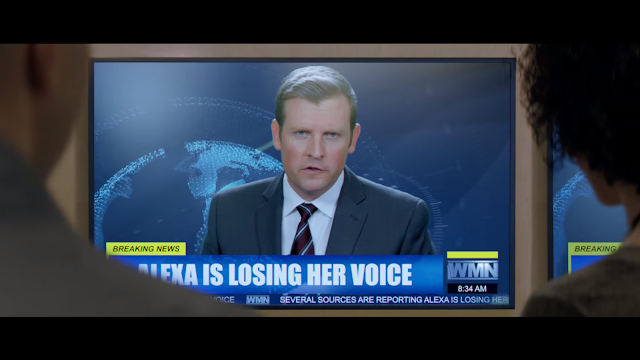 The teaser clip centers on a national panic that ensues after Alexa's voice disappears. Amazon's CEO then reluctantly gives the go-ahead for a questionable voice replacement after Amazon's uber popular AI assistant loses her voice.